Many college graduates can say they got a degree that will get them no where. A Canadian woman just got a degree that I think tops them all. 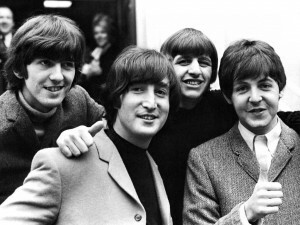 Mary-Lu Zahalan-Kennedy just earned a masters degree from Liverpool Hope University of London in Beatles Studies. "I am so proud of my achievement," Zahalan-Kennedy said. "The course was challenging, enjoyable and it provided a great insight into the impact the Beatles had and still have to this day across all aspects of life." The degree studies how the music of the Beatles helped define identities, society, and culture. Founder and leader of the program Mike Brocken, says that the degree makes Zahalan-Kennedy a member of a select group of popular music experts. She stands alone in her achievements. Not all degrees are just for job training. It’s nice to study something just because you love it. Maybe I’ll approach a few universities with an idea of a masters in I Love Lucy theory.